A world-famous Hindu temple of India. Being the most popular Hindu temple of India there are many, at times contradicting, stories on the origin of the temple. In general, Lord Venkateswara is said to be Lord Vishnu through his incarnation as Lord Varaha. The temple is pre-historic in existence. 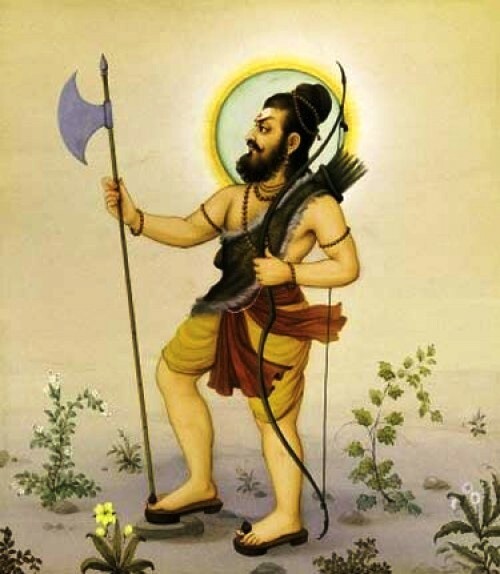 The historical period is believed to begin from the Pallavas of Tamil Nadu. According to historians, following Pallavas almost all rulers of South India (like Cholas, Pandyas, Cheras and even Maratha rulers) had contributed immensely to the wealth and popularity of the temple. But, the contribution of the Vijayanagara rulers deserve special mention. Successive rulers of that dynasty worshiped Lord Venkateswara; they made his abode wealthy and popular as we see it today. Whatever the history behind the temple, the ever growing wealth of this temple is astonishing. There is a legend behind the reason for accumulation of this much wealth. It tells us that when Lord Venkateswara decided to marry Queen Padmavathi, he wanted to celebrate the marriage in a grand manner. 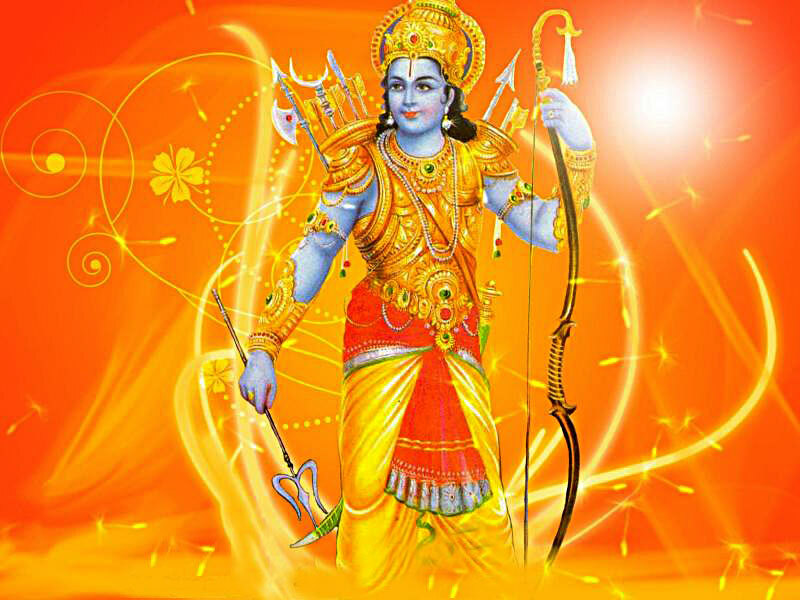 So he approached Sri Kubera (the Lord of riches in Hindu mythology) for a loan to raise fund for his marriage. The legend tells us that Kubera gave about one crore and 14 lakh coins of Gold to Lord Venkateswara as loan; condition is that the Lord shall repay this amount from the donations made to him by the devotees who visit him at Tirupati temple. Being an astronomical amount, the Lord Venkateswara is supposed to be paying back the loan amount to Sri Kubera even now. 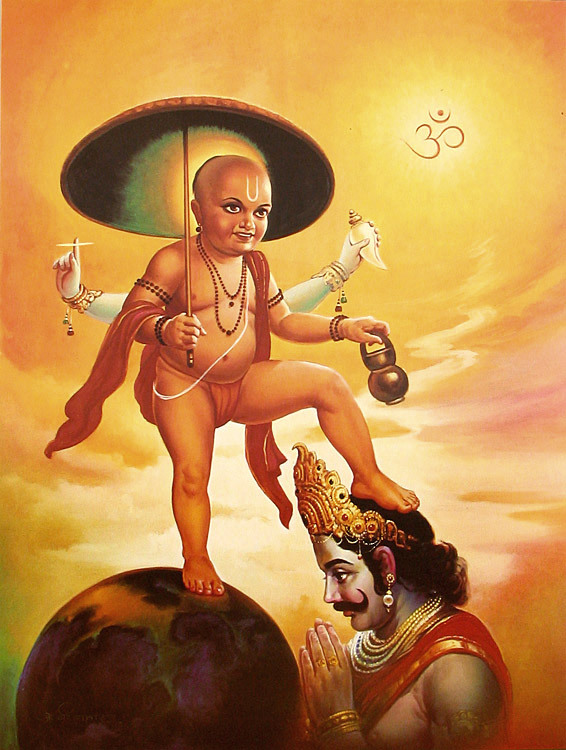 So it is the duty of every devotee to help the Lord to pay back his debts to Kubera! The temple is on a hill top known as Saptagiri ranges. Sapta means seven and Giri means hill. Thus, this is a cluster of seven hills; considered as the divine abode of Lord Venkateswara. The seven hills are Vrushabhadri, Anjanadri, Neeladri, Garudadri, Seshadri, Narayanadri and Venkatadri. The temple is on Venkatadri hill. Hair tonsuring and offering of Laddu are the important offerings to the Lord Venkateswara. Tonsuring of head is the symbolic submission of one�s false ego to the Lord Venkateswara. There are many temples around the Venkateswara temple, connected to it by tradition. However, the Padmavati devi temple, also known as Alamelu Mangapuram temple, is prominent among them. This temple houses Goddess Padmavati- the consort of Lord-Venkateswara. The temple is about four kilometers from Tirupati. 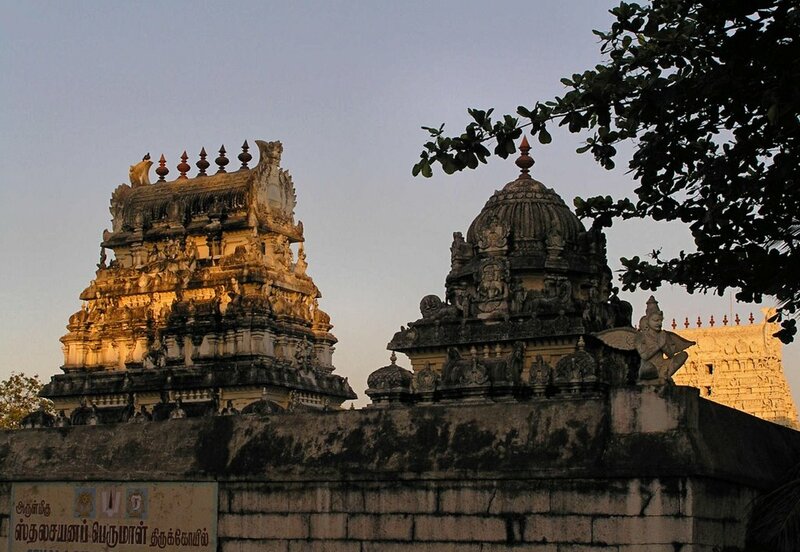 The famous Shiva temple, Sri Kalahasti, is only 38 kilometers from Tirupati. 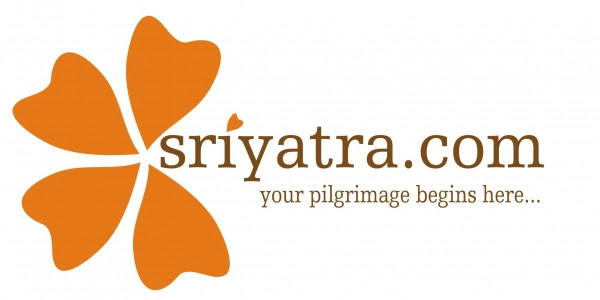 Usually, people visit this temple as part of the Tirupati pilgrimage. 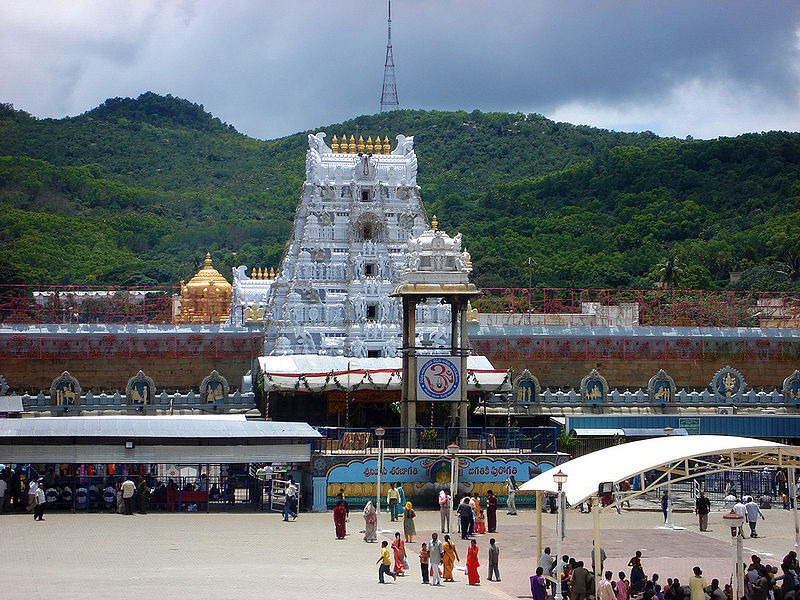 The place where the temple situates is known as Tirumala; on top of the Venkatadri hill. One can opt for road journey up to the temple from Tirupati town (on the foot of Venkadadri) or take the traditional forest path by foot. The journey from Tirupati to Tirumala, along the Venkadadri hill, is memorable. Tirupati has an airport and has a major railway station too. It is about 500 kilometers from Hyderabad, 150 kilometers from Chennai and 250 kilometers from Bangalore.